This week we are gearing up for Digital Learning Day which occurs on February 22nd. There are a lot of really great ways that you can add technology to your teaching to increase student learning objectives and outcomes. For the last two years we have been a 1:1 iPad school. We are equipt with Chrome books that come in a caddy for easy access as well. I am fortunate to have a Smartboard as well as Apple TV. So with that I found ways to utilize technology into my science lessons in a variety of ways that work for each grade level I work with from Kindergarten to Fifth grade. It isn't always easy to have student's from many different teachers' rooms. Some of the students come with the knowledge of how to get an airdrop or even how to get to their Google Drive, but with only an hour with my littles, I had to find different ways to utilize my time, as well as check for understanding of key Science concepts...That is why I started creating Smartboard Projectable Activities that have a Science Theme or tie in math and language arts. I love how students can come up to the Smartboard and drag and drop to show me what they know. I also love how this is a great way to have students sit nicely to be called on and learn that we don't always get a turn to come up. We can even agree or disagree and help a friend if they are stuck. We use the thumbs up and thumbs down method so no one is blurting and we all have an answer. If you are needing to do it quickly...once again you can show it up on the Smartboard while students circle their answers at their seats as you scroll through the slides. One of my favorite apps is Explain Everything. I used to use Pic Collage until our district bought us this app. Both work great! My students can get a record sheet airdropped to them and they place the picture that is now in their camera roll into their "Science Notebook" in Explain Everything. Once they add it to their notebook they can lock in the sheet, add pictures, text, voice recordings...its a great way to look back on our experiments to show what we know and to recall what we learned the week before! Taking a picture or video of the demonstration of an experiment has cut down on the questions asked or the lack of understanding of what to do next. It allows for reflection and instead of drawing what they see, they can take a real time picture that shows exactly what happened! This can be looked at week after week, lesson after lesson to continue to make connections! It also increases vocabulary by letting students voice record or take pictures of anchor charts, vocabulary on the board and more! Tip 4: QR Codes and iPads Make Learning Fun! Increasing Vocabulary for Tier Three Words is difficult at times because they are low frequency words that appear in classes such as Science and Social Studies...classes that are often times ignored due to the increase in math and language arts. The way to get students actively engaged in learning vocabulary...studying for a test...creating partner activities that challenge who might know more information...and even assessment can be done through QR Codes! Using a QR Code Generator such as https://www.the-qrcode-generator.com/ is an easy way to write an answer and then copy the QR Code onto a poster or task card for them to answer questions or what we love WRITE THE ROOM or SCOOT. We place the cards around the room and they Scoot around the room finding each card, writing down their answers and then checking their work. I even place task cards on their tables for them to read, write, and correct to increase vocabulary and understanding! Whether you have a classroom of ipads or just a few for a station, or Smartboard using technology with your students will prepare them for the future. Technology is always changing and sometimes that is hard to embrace because it is not always what we grew up with, but showing your students that you can utilize technology to teach makes connections that can help them learn not only Science, but any subject! Looking for Digital Science Activities to try out...Stop on By The Science School Yard TPT Store for Digital Science Resources HERE! Hope you enjoyed reading about how I use Technology in my classroom! Time For a Giveaway! You have a chance to win a $50 TPT gift card when you comment on each of our posts in the blog hop! Comment below to let me know how you can use these ideas in your classroom! Then click the image above and read another way to add digital learning into your classroom from my techie friend, Kristy over at Two Peas and a Dog! Keep hopping for great tips, tricks and content from more amazing TECHIE TEACHERS! Yes, I always project what we are doing on the Smartboard. Some of my students also prefer digital quizzes so I am starting to create them as an option. I love how you use them too. Thanks! I have a Promethean board, and I'd love to get some fresh ideas on making flipcharts more interactive! Great tips! I can't wait to try Explain Everything. Thanks! I don’t teach Science but there were some great tips that I will share with My Science teacher. I am definitely going to try this with our science unit on light and sound! Smartboards are essential in our classrooms! I love using QR Codes. These ideas are so good. Thank you! I use the SmartBoard with Gizmos from Explore Learning. Our school purchased a subscription and it is wonderful for Science and Math. 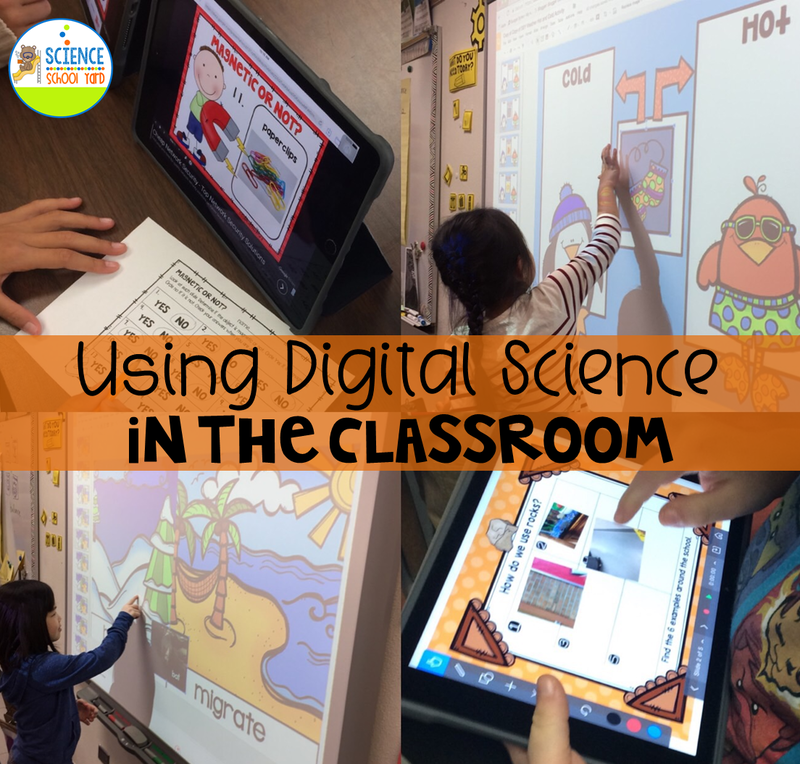 It really is great for Science lab type activities because we don't have many supplies needed to do hands on labs, so we do them digitally! I am a QR Code junkie. My kids love them and I attach them to everything. Study Guides have QR Codes that link to "how to" videos. I use task cards with QR Codes that link to the answers. I also have a QR Code on the calendar each day for students who were absent to show the agenda & work we did that day. I have done scavenger hunts with QR Codes where they work or solve a problem then scan the code to see the next clue, or place to go. Thank you! I would definitely use the QR generator to great activities around the room, especially for partner work. The Smart board is a great way to increase engagement. I think using QR codes would also be a fantastic way to engage learners in the content you are teaching.